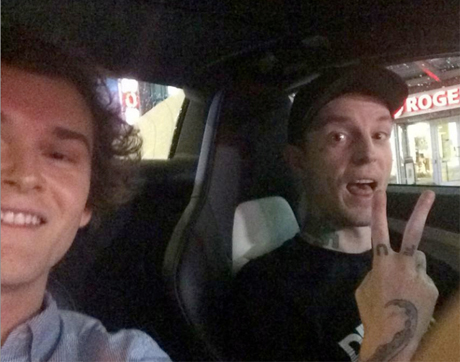 If you ever order rides on Uber, then there's a chance you could follow in the footsteps of Toronto Mayor Rob Ford by getting driven around by deadmau5. Yes, that's right: the insanely famous dance DJ born Joel Zimmerman has taken on a gig as an Uber driver in Toronto. So why is one of our country's most successful music stars moonlighting as a glorified chauffeur? Well, according to his tweet from last week, it's for "shits and giggles." This gig also gives deadmau5 a chance to show off his nifty new McLaren car, which he has dubbed the "Meowclaren." It's no "Purrari," but it's still pretty flashy. The "play"-hitting beatmaker spent last night (September 10) giving people rides around Toronto. It could be worth keeping your eyes peeled on his Twitter account, since he added that he's going to keep the app on hand and might give some more rides the next time he's bored (and needs to be distracted from his legal tussle with Disney).